This is one project I can finally cross off my list! Several years ago, I bought a corkboard at Wal-Mart for about $7 to put in my son's room to display his artwork. He never used it, so I decided to put it in our home office. I've been meaning to revamp it for a while, but I'm not really a crafty person. 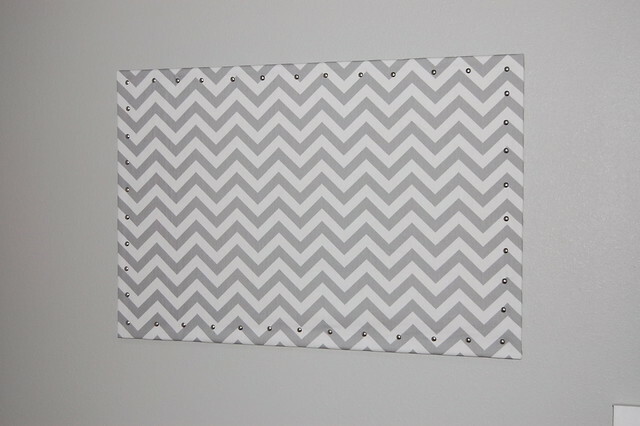 I was secretly hoping I'd come across the perfect pinboard I could just buy and make my life easier. After almost a year of looking and refusing to pay $300 for a damn corkboard (sorry, but that's just criminal), I finally decided to DIY it. 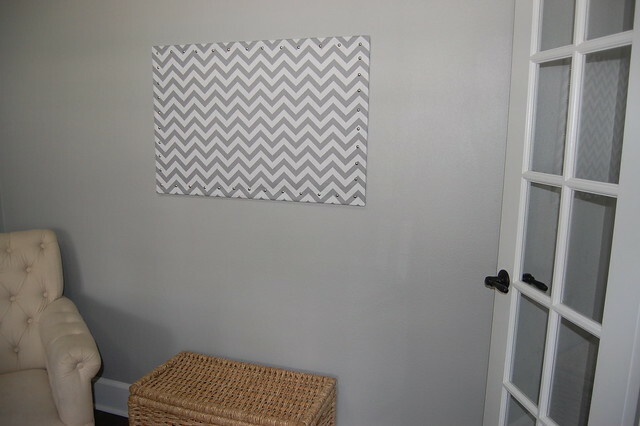 I found a gray and white chevron fabric that was only $13 a yard so there were no more excuses. 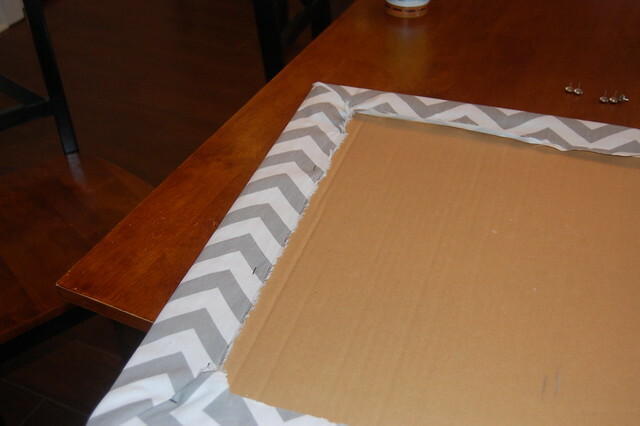 After my husband took off the frame, it took me about ten minutes to cut and staple gun the fabric on the corkboard. It's not so pretty from the back, but no one will see that. 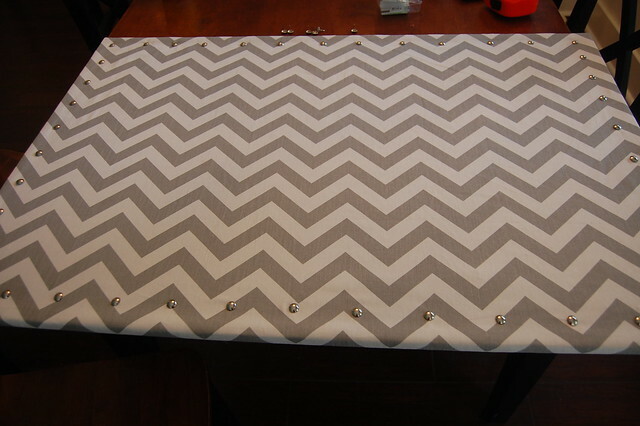 Then, I used decorative nailhead trim around the edges. My husband picked these up at the fabric/craft store for me. Now, that's love! I started off measuring the left side with perfect 2.5 inch spacing. That was really annoying so I just eyeballed the rest and it turned out fine with a little adjusting. Here it is in the office. I'm not sure if that is really where I want it to go since I'm still tweaking the furniture and artwork. I was worried about making holes in the wall and then having to touch-up the paint if I decide to move it later on. 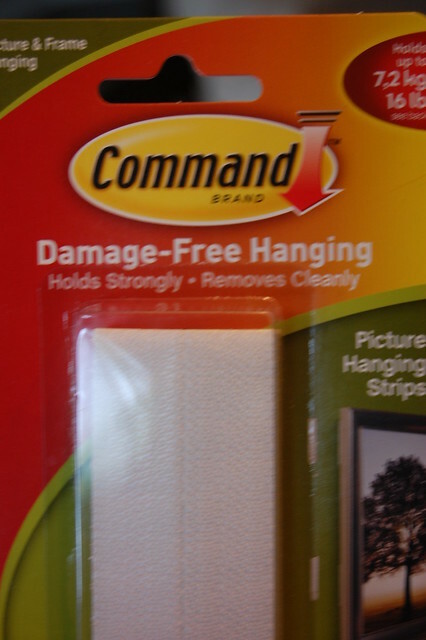 Luckily, I had some Command picture hanging strips around that I never used. 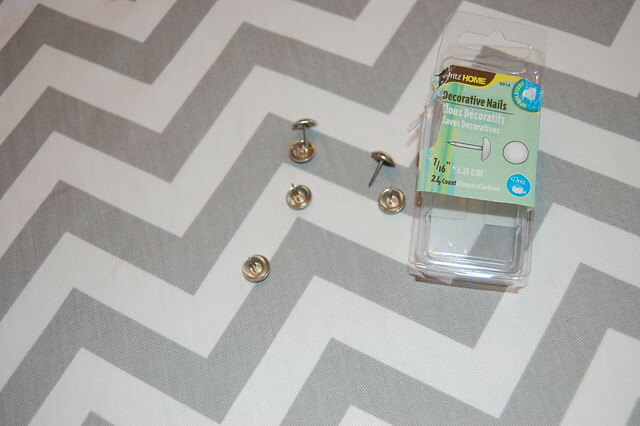 I was not convinced these would hold the pinboard even though it isn't particularly heavy. I held it in place for thirty seconds per the instructions half expecting it to come crashing down when I let go, but it's still on the wall. Amazing! This is hanging right above the kids' backpacks so it's a perfect spot to pin up papers and birthday invitations that I need to address right away. I have a tray for each of the kids in the office, but once it gets filed away I have a tendency to forget about it. I really need to have something visible to jog my scrambled/stressed out mom brain. It goes perfectly with the office and it took less than half an hour. Now, I'm kind of mad at myself for putting it off for so long! 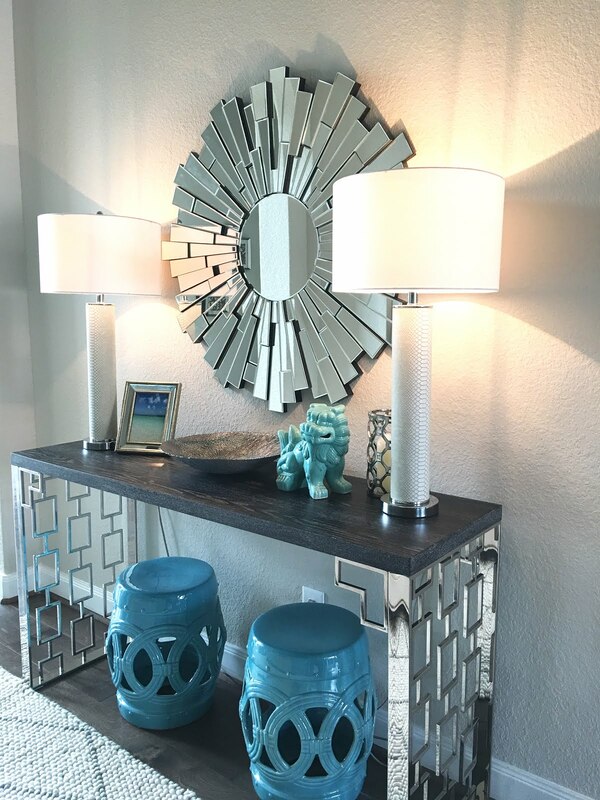 Girl, I love seeing your DIY skills! :) Looks great and it fits in so well with your style. $300 for a corkboard? Sheeshh!